Snow, Carpio & Weekley - AZ Workers' Compensation and SSD Attorneys: THE ATTORNEYS AT SNOW, CARPIO, & WEEKLEY; WHAT MAKES US SO DAMN SPECIAL? THE ATTORNEYS AT SNOW, CARPIO, & WEEKLEY; WHAT MAKES US SO DAMN SPECIAL? WHAT MAKES US SO DAMN SPECIAL? What sets the attorneys at Snow, Carpio, & Weekley apart from the dozens of other attorneys who represent injured workers in Arizona? First, it is our backgrounds. All of the attorneys in our firm come from working class backgrounds and understand and appreciate hard working people who just want to be treated fairly. Two of us were roofers before becoming attorneys, two worked in other areas of construction, two were school teachers, and one lived in other countries while his father worked for an international mining company. Another special thing about our attorneys is that we fight for people’s rights outside of the courtroom as well as inside. two of our attorneys were the chairman and general counsel of the historic 2011 recall of then Senate President Russell Pearce – the first time in us history that a sitting legislative leader was removed from office by recall. Our firm stood up to then Maricopa County Sheriff Joe Arpaio when he was abusing immigrants and jailing his political opponents. We were vocal opponents of now disbarred County Attorney Andrew Thomas when he was similarly abusing his power. We continue to lobby at the legislature and have been instrumental at changing many laws favorable to those injured on the job. One of our attorneys is the past chairperson of Chicanos Por La Causa, one of the nation’s largest advocacy groups for Latinos and immigrants. Another of our attorneys sits on the board of the catholic diocese of Tucson. Another wrote the legal specialization test for many years for the state bar of Arizona for attorneys who wanted to become certified specialists in Arizona workers compensation law. 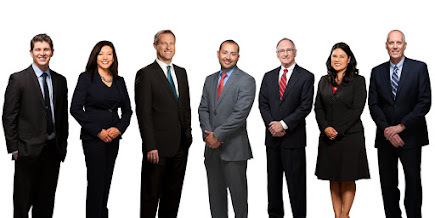 Five of our attorneys speak fluent Spanish. Two are the children of immigrants. All of us have lived in Arizona almost our entire lives. Two of us served as church missionaries in other countries, dedicating two years of our lives to serving others. Two were partners at our largest competitor and left to join our firm because they saw how we fought for and treated our clients. All of us have families and understand the impact a work injury can have on someone who is taken out of work for a long period of time. If you are shopping for an attorney for your Arizona work injury, you can’t do any better than the lawyers at Snow, Carpio, & Weekley!!! For more information on Workers' Compensation or Social Security Disability, please contact Snow, Carpio & Weekley toll-free at 855-325-4781 or visit our website at www.workinjuryaz.com We serve the entire State of Arizona and have offices located in Phoenix, Tucson, Yuma and Lake Havasu City.